A paper published online today in the high-profile journal, Nature, describes the results of using a bone marrow transplant to dramatically stop the development of symptoms in pre-symptomatic male and female mouse models of Rett Syndrome. 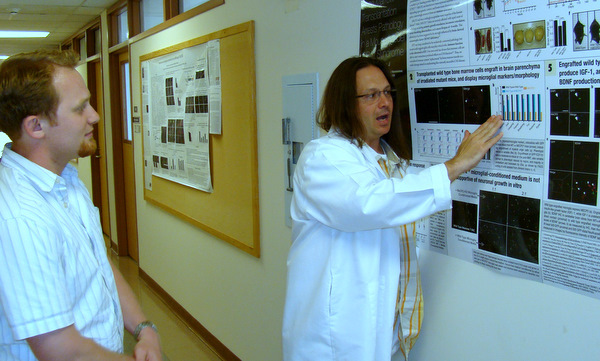 The work was undertaken in the neuroimmunology laboratory of Jonathan Kipnis, Ph.D. and his team at the University of Virginia. That a bone marrow transplant could arrest such a severe neurological syndrome such as Rett is quite unexpected and provides us with yet another strong example of how tractable this disorder appears to be – at least in the animal models. 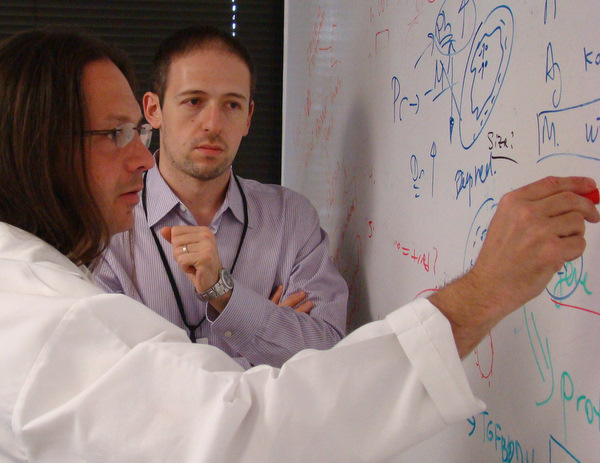 Experiments are now underway in the Kipnis lab to test whether reversal of advanced symptoms via bone marrow transplants and other modulation of the immune system is also possible. This work was funded by the Rett Syndrome Research Trust and the Rett Syndrome Research Trust UK. The clinical relevancy of this work makes this paper of obvious and significant interest. But the authors don’t stop there. The paper describes data that could help us better understand how MeCP2 deficiency leads to symptoms. They introduce the concept of a powerful connection between the immune system and Rett Syndrome and open the door not only to bone marrow transplants as a treatment modality but potentially to other immune therapies as well. To help you understand the key findings and implications we invite you to watch the videos below. Please watch the animation of the experiments first followed by the interview. We would like to take this opportunity to thank Jeff Canavan of NewsAnimation for volunteering his time and effort to create the beautiful animation below. Jeff has a daughter with Rett Syndrome and founded, with his wife Sarah, the Kate Foundation for Rett Syndrome Research. We thank Jeff Bemiss for donating his filmmaking expertise, substantial time, energy, equipment and editing resources to film the interview below. He comes to our cause through his friendship with the Canavan family. Wow….I am so happy about this news who make allot of sense to me. The video is amazing and so well done. Thank you for your efforts you have been posted on my blog http://alexandraoranotherrett.blogspot.com/. would report like this help makes sense why quite some parents have claimed that their autistic children seemed to develop neuro-regression such as social withdrawal soon after immu-shots or having a cold? Amazing! I hope sincerely that this is the way to at least make life easier for all of our dear Rett girls. You have opened a new potential door to treatment. Thank you extremely for such these two understanding videos. Wish you a lot of success!! its very hard for me to understand this and why it has happened to my family..what is the best way to handle everything?? I have a baby girl who is 2,5 years old and diagnosed recently with Retts Syndrome – could you pls guide us on Kreatin dosage that help with Muscels activity and brain function – there are all sorts if Kreatin drugs which one we have to target and a dosage please!